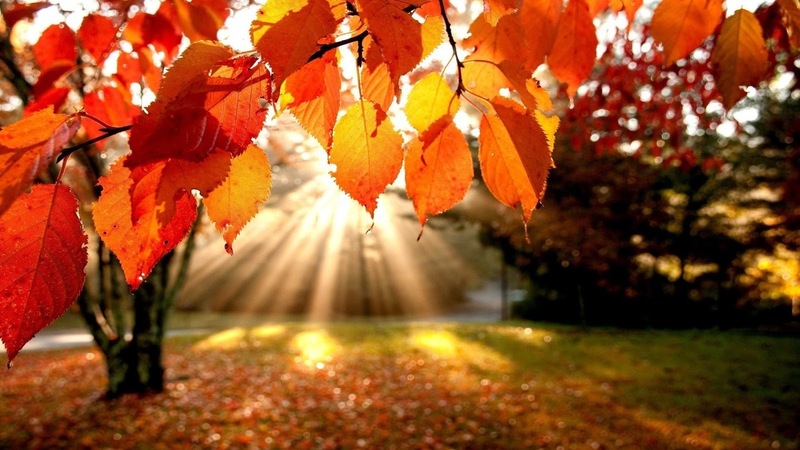 I always get excited for the first day in October, as it means that Autumn has officially arrived! I love the Autumn/Winter season as October, November and December are my three favourite month's in the year (apart from May - my birth month - of course). So, without further ado, here are my favourite things about Autumn..
Snuggled weekends in bed with a hot chocolate, your favourite treats and Netflix. Definitely the different varieties of hot drinks - salted caramel hot chocolate from Starbucks? Yes please! Deep toned berry lips with very autumnal brown/gold/orange eyeshadow. The fashion! Coats, tights, high neck tops, jumpers, scarves, hats, etc.. Need I continue? The transition into watching your favourite Christmas movies. November = Fireworks! They just make the sky look so pretty.. The many excuses for us girl's to dress up and create different makeup looks - Halloween, Firework night, Christmas, New Year's Eve, etc. Have I mentioned that it's nearly Christmas yet? Candles. Every cosy smell you could ever imagine under one roof - yum! Orange, yellow and brown leaves on the ground just seem so much more appealing that green leaves.. Guess what? You don't have to worry about your makeup sweating off your face or worry about those sunglasses marks that always get left on the sides of your nose..
Lots and lots and lots of crappy Saturday night TV to watch - X Factor, Strictly, etc. No more worrying about that 'bikini bod'! Fairy lights can be strung everywhere and anywhere and it is totally acceptable! Even though Autumn is great, it also means that the weather gets colder, the nights become darker and waking up in the morning is even more difficult than it was before.. But I think the good definitely out weigh's the bad in this predicament! #snuggly! I just brought out a fall candle to burn last night and it just smellllls cozy if that makes any sense haha! I'm with you on the darker mornings though- I just want to stay in bed and sleep every morning!